Total weight lost: 19kg (76kg to 57kg). Since young, Irene has been on what she calls a “yo-yo weight”. She had been trying to lose weight through dieting, however her results were minimal and futile. 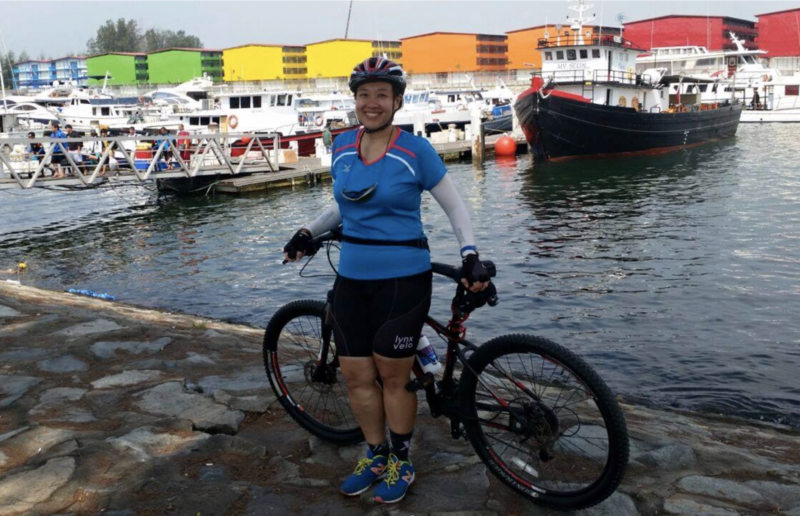 After a cycling-cruise tour to Taiwan and Okinawa in 2014, she slowly fell in love with cycling and went on to challenge herself with longer cycling distances. 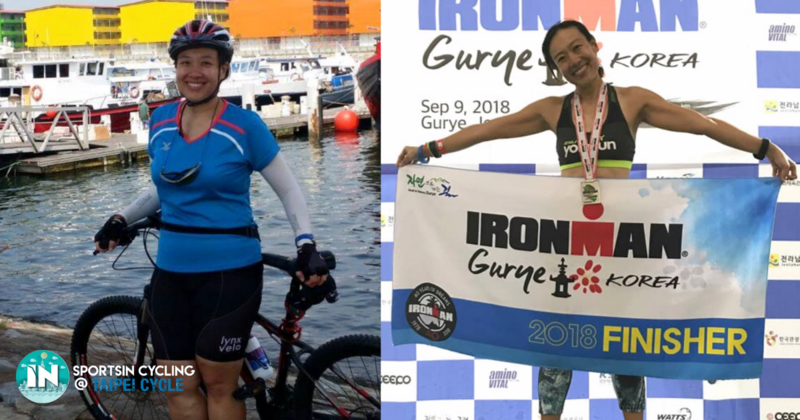 On top of cycling, Irene also swims, runs, and does strength exercises to build up her endurance and power. 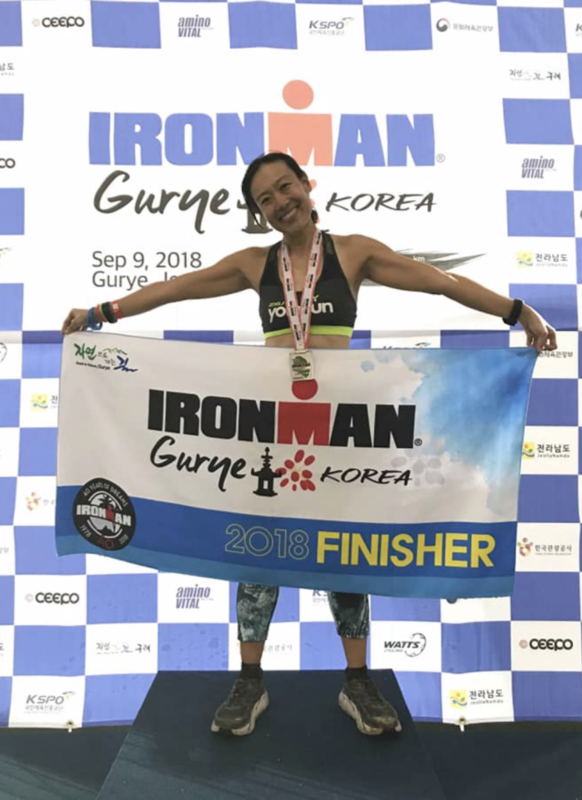 She succeeded in challenging herself to complete her first Half-Ironman Bintan in Aug 2017 and Full Ironman Gurye, Korea in September last year. She reduced in her training intensity but continued to exercise regularly, her weight went to 59kg and remained consistent. She managed to lose 19kg gradually in 4 years. I need my carbo, and I do not reduce in the portion taken. However, I stopped taking sugar and ate more vegetables, fruits, nuts, fish, white meat and eggs. I usually prepare my snacks while on the ride so that I can have my recovery nutrition fast for my body to absorb the nutrients. 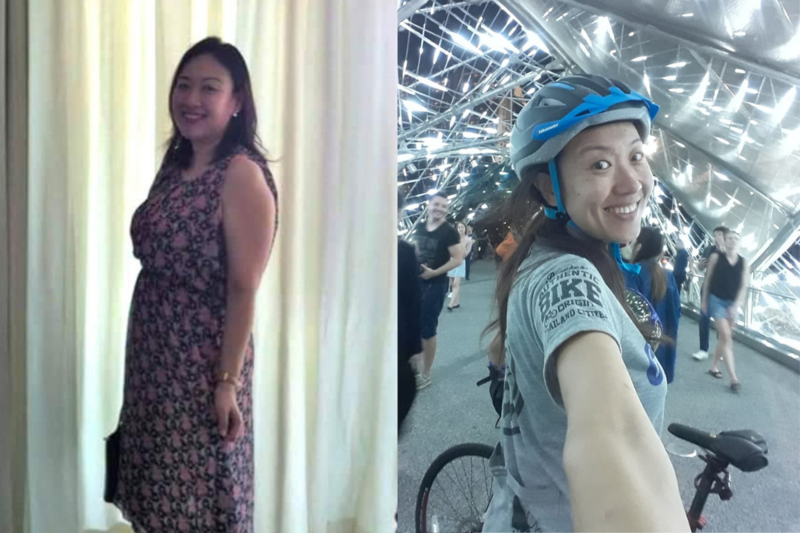 I fell in love with cycling after my first cycling-cruise overseas tour to Taiwan and Okinawa. I think I was captivated by the beautiful sceneries and I felt great that I was able to accomplish what I thought was impossible before the ride, The cycling friends whom I met have made me feel welcomed and encouraged, and that motivated me to go on, and the rest was history. I have learned a lot from my cycling seniors from My Bike Group as well as other cycling groups who welcomed me to their rides. Group riding helps me to improve on my riding speed, and the support and encouragement given to me helped me to grow. 1. Cut down on sugar intake gradually. 2. Sustain on a diet that works for you. 3. Do cross-training and do not stick to just one kind of sports. 4. Set a goal for yourself and stick to it. Do you have a story that you would like to share? Click here and drop us a message!